As solar prices become competitive with fossil fuels, member-owned electric cooperatives are beginning to embrace renewables. Students enrolled in the brand new renewable energy class at rural Virginia’s Bath County High School this year don’t have to travel far for hands-on learning. They just have to look up — at the 252-kilowatt solar array on the school’s rooftop. The intricacies of energy production, photovoltaics and climate change are at the heart of lessons in science and engineering that teacher Larry Grubbs designed over the summer. It seems a hand-in-glove fit for a school whose mascot is the Chargers. That the school has invested in solar at all is a tribute to the innovation of go-getter Mike Keyser, the CEO of a distribution electric cooperative that serves some 13,000 electric meters in Bath, Alleghany and Rockbridge Counties (BARC) near the West Virginia border. Keyser’s doggedness in linking his customers in the Alleghany Highlands with solar energy is a sign that Virginia’s member-owned co-ops are no longer dragging their feet on renewables. BARC’s initial dip into photovoltaics, an innovative community solar garden, went live a year before the state Legislature passed a 2017 law to spur similar projects. Since then, five more of the 12 distribution co-ops regulated by the State Corporation Commission, Virginia’s utility regulators, have received permission to start community solar programs. The delay was primarily a cost issue, said Deb Roepke, with the Virginia-based National Rural Electric Cooperative Association. While co-ops pride themselves on being nimble and inventive, many were wary of switching to solar until its price became competitive with coal and natural gas. That was especially true in Virginia, a longtime conservative coal state. Keyser, an attorney and Seattle native, came to BARC in 2010 with a deep grasp of renewables. He had led a Stanford University project in American Samoa that replaced diesel-powered generators with Tesla batteries and a small solar grid. The 550 KW-community solar program he designed for BARC was wildly popular among residential members, but too tiny to accommodate Bath County schools, one of the co-op’s largest customers. Investment tax credits weren’t doable because both institutions are not-for-profits. So, Keyser dug in, seeking a different financial solution. “The nice thing about not having a profit motive is that we can focus on what the customers want,” Keyser said. Last summer, 3,314 solar panels were affixed to the high school and two elementary schools. At 1.1 MW, it’s heralded as Virginia’s largest school solar project and has provided more than half of the schools’ annual energy needs since going live last October. 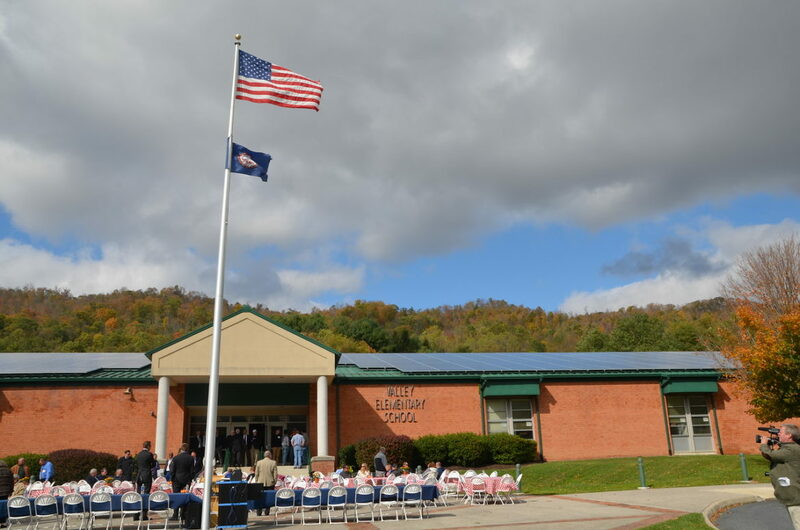 A solar dedication ceremony on October 30, 2017, at a Valley Elementary School in Bath County, Virginia. Last month, the SCC approved three-year pilot community solar programs for four distribution co-ops served by the Old Dominion Electric Cooperative (ODEC), based in the Richmond suburb of Glen Allen. They are A&N, Mecklenburg, Northern Neck and Rappahannock. In addition, applications by two other distribution co-ops also served by Old Dominion — Shenandoah Valley and Southside — are pending before the SCC. All six projects, which will operate under the name Cooperative Sunshare, will be available to co-op members in 50 kWh blocks, said ODEC spokeswoman Shena Crittendon. ODEC generates and transmits energy. Last year, it worked out power purchase agreements with a Dominion Energy subsidiary to buy solar power for Cooperative Sunshare participants from the 10 MW Clarke County Solar farm and the 20 MW Cherrydale Solar farm. A signal that co-op community solar is more than a passing fancy in Virginia came in May when Democratic Gov. Ralph Northam showed up near Charlottesville to flip the switch on two other solar projects, Palmer and Martin, along the Interstate 64 corridor. Nearby Central Virginia Electric Cooperative is buying those projects’ 10 MW output under a 25-year power purchase agreement with Coronal Energy. Four of those MW are dedicated to CVEC co-op members enrolled in Solar Share, the co-op’s community solar program. The remainder will be spread across membership, said co-op spokeswoman Melissa Gay. Coronal Energy, part of Panasonic, is an independent power producer focused on utility-scale solar and storage projects. Central Virginia was the first co-op community solar program that the SCC approved under the 2017 legislation. 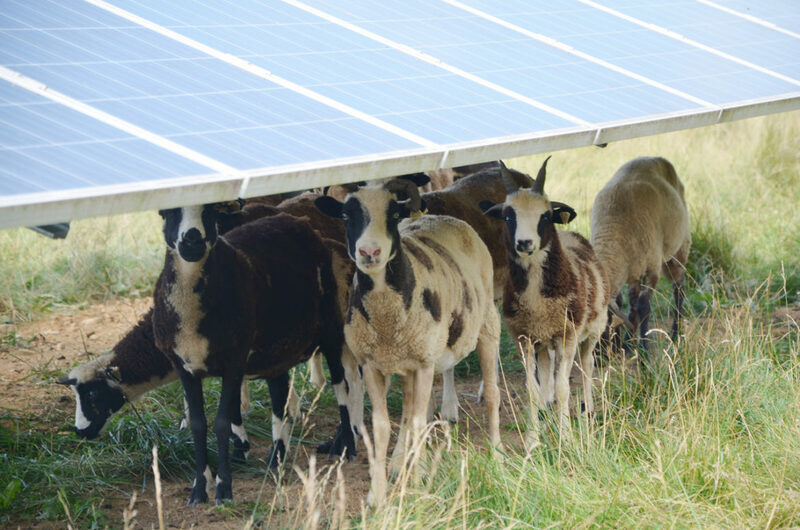 Virginia’s BARC Electric Cooperative uses Jacob Sheep to manage vegetation at a community solar garden. Nationwide, co-ops power more than 19 million businesses, homes, school and farms. The number of them offering community solar programs grew tenfold from 19 in 2013 to 196 in 2017, according to a National Rural Electric Cooperative Association report issued in July. Still, these recent changes are by no means a full-scale transformation among slow-to-change co-ops that are more comfortable following the lead of other utilities on renewables. Growth likely will continue only where co-ops are comfortable that solar offers the best energy value for customers. One program that set the table for affordable solar at co-ops originated with the launch of the U.S. Department of Energy’s SunShot Initiative during the Obama administration. SUNDA, short for Solar Utility Network Deployment Acceleration, was created in 2013 to boost solar models and resources for co-ops. 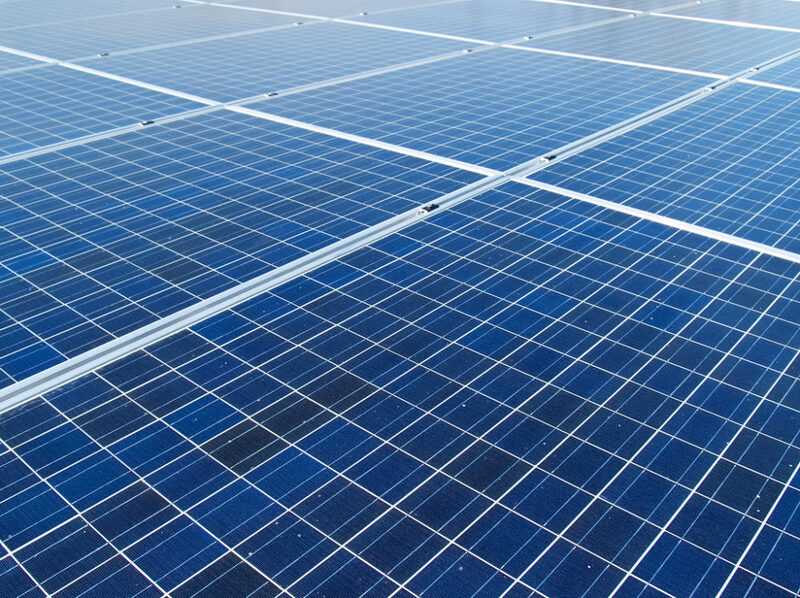 An NRECA-DOE partnership shared the costs of building 30 MW of solar at 17 co-ops in 10 states. Virginia was not on that list. Through SUNDA, solar financing options grew for co-ops while the price per watt dropped. More co-ops could say yes to members demanding solar. Upon initiating BARC’s community solar project in 2016, Keyser opted for a subscription-based model and capped usage at 25 percent annually so more members could participate. Instead of forcing customers to wrestle with complicated kWh, he sold the power in “blocks.” Green energy is about $1 higher per block than fossil fuels. His urge to hire a local installer led him to David Wall, president of Affordable Energy Concepts near Lynchburg. In 2017, Keyser invited Wall’s crew back to build the much larger school project. Keyser had two goals for the school project — fixed payments over time and to lock in today’s energy rates for two decades. He tapped into a low-interest federal relending program geared for rural energy savings. The school system borrowed $1.7 million from BARC to cover the installation costs and is now paying back that loan over 20 years. He is thrilled that Grubbs, the teacher and electrician, will be incorporating data sets collected from the school solar project into his renewable energy class. “Nobody got everything they wanted, but it advanced the cause of rooftop solar and net metering,” an advocate said. The legislation lifts a net metering cap for cooperatives and allows their customers to install larger solar projects.